When you give us notice to end your tenancy we will write to you to confirm your tenancy end date. If there is any change in your date of vacating then please contact us or text us on 07797 8005 13 as the property will be marketed once we receive a valid notice to end the tenancy. 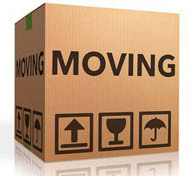 We will also arrange to come and inspect your property during the notice period or on the day of vacating the property. The inspection will check if there are any repairs that need to be done to the property. We will recharge you for any work that we need to do to the property after you leave that was your responsibility. You will also be charged for removing any belongings or rubbish that you leave behind. It is your responsibility to leave the premises in a clean and tidy state. All keys, including any to shared entrances, bin stores, windows or meter cupboards must be returned to us on the date of vacating or by 12 noon the day after your tenancy end date. You will be charged rent until they are handed in. If you fail to return the keys then you will be charged a fee for change of locks. Please ensure all electric, gas and water meters are read on the day you hand over the keys to us.